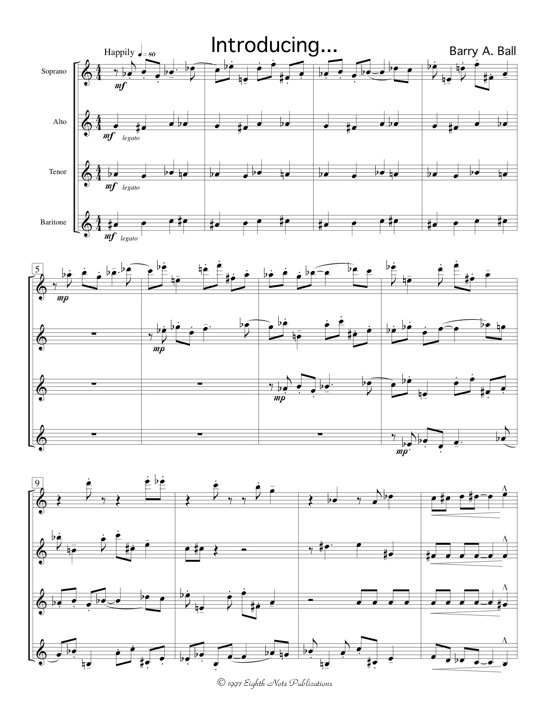 This is a work by an emerging Canadian composer, Barry A. Ball. He has used several modern compositional techniques to arrive at an animated and colourful work for soprano, alto, tenor and baritone saxophones. Contrapuntal lines combined with tight ensemble work and technical passages make this an exciting work.